The Royal Buckinghamshire Hospital is using exoskeletons to challenge the limitations caused by severe injuries and neurological conditions, as NR Times reports. Exoskeletons can restore the ability to walk, and enhance quality of life in many other ways too, says Eva Sobonova, head physio at the Royal Buckinghamshire Hospital (RBH). “They can also reduce pain and improve bowel and bladder function and spasticity. Then there is the huge psychological impact,” she adds. is a wearable robot that helps individuals with lower extremity weakness to stand and walk with a natural, fully weight-bearing gait. Walking is achieved by the user’s weight shifts or via a button, with motors driving the legs. 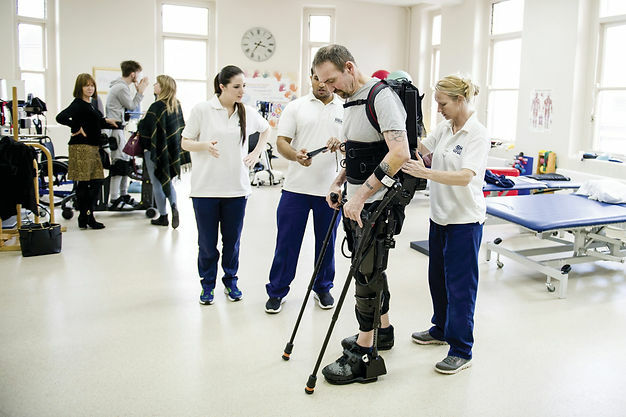 While this is predominantly a rehabilitation tool used in the hospital, RBH patients also have access to the more compact and portable Indego exoskeletal system. This can be quickly and easily fitted, making it ideal for community settings. Inpatients at RBH may use the exoskeletons from a few times a week to daily, with outpatients typically having weekly sessions. “Inpatients use the devices as part of their intensive rehabilitation that also involves a range of other technologies – and disciplines such as occupational therapy, psychology and speech and language therapy. The intensity of therapy afforded by the exoskeletons is crucial to the successful outcomes they deliver. at RBH followed, which included three exoskeleton sessions per week. The assisting power from the device was gradually reduced from 100 to 40 per cent, increasing the muscular input needed to walk. the neuropathic pain and spasms keeping him awake at night. Trials showed that the technology’s ability to completely eradicate his pain, and minimise the spasms, lasted for 12 hours after each session. The Royal Buckinghamshire Hospital has been specialising in rehabilitation for the past 20 years and remains a destination of choice for patients in the UK and abroad. 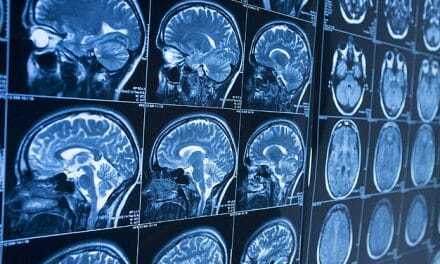 Its extensive range of services means patients with a wide range of neurological conditions can benefit from our expertise and care. See www.royalbucks.co.uk for more information. Vital link in solving prison problem?